Product prices and availability are accurate as of 2019-04-23 13:16:06 UTC and are subject to change. Any price and availability information displayed on http://www.amazon.com/ at the time of purchase will apply to the purchase of this product. The Anime Studio Curriculum Guide was designed to teach students about the Principles of Animation. 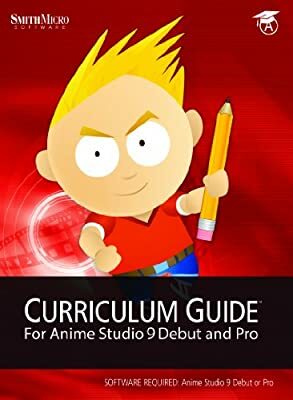 These principles are the foundation for each lesson and serve two purposes: they are important skills for any animation project (traditional or digital), and they offer a structure for learning Anime Studio.